If you are interested in pursuing higher education online in the Volunteer State, this guide provides you with helpful information. Topics covered include an overview of accredited online colleges in Tennessee, tuition costs, financial aid opportunities, and the kinds of jobs you can pursue after earning an online degree in Tennessee. According to the National Center for Education Statistics (NCES), Tennessee maintains 105 degree-granting postsecondary institutions. Of these 105 schools, the NCES counted 23 as public, four-year universities and 13 as public, two-year institutions. The NCES counted 34 schools as for-profit institutions, with the remaining 71 operating as nonprofit institutions. Before we review the best online colleges in Tennessee, let's start with the current state of higher education, particularly online education, in Tennessee. According to NCES data, in the fall of 2016, higher education institutions in Tennessee enrolled 321,751 students. In the 2018-2019 academic year, CollegeBoard found that the average in-state tuition and fees for four-year public schools in Tennessee is $9,950 and the average in-state tuition and fees for two-year public schools is $4,560. Many financial aid opportunities exist for students earning their degrees in the Volunteer State. The National Association of State Student Grant and Aid Programs found that the total aid awarded through need-based and non-need-based grants in Tennessee was $411,637,260 during the 2015-2016 school year. According to an online learning survey that culled data from every accredited online college in Tennessee, 94,972 students took at least one online course in 2017, a figure that comprises approximately 29% of Tennessee college students. Moreover, 29,121 students — 21,822 undergraduate students and 7,369 graduate students — took exclusively distance learning courses at online schools in Tennessee. About 24,127 of these online students are Tennessee residents. Approximately 91% of students in Tennessee take at least one course on campus. This figure includes students who take a mix of on-campus and online courses at online schools in Tennessee. Many out-of-state students can find tuition breaks at accredited online colleges in Tennessee. The Southern Regional Education Board (SREB) works in 16 member states to improve public education, including Tennessee, Alabama, Arkansas, Delaware, Florida, Georgia, Kentucky, Louisiana, Maryland, Mississippi, North Carolina, Oklahoma, South Carolina, Texas, Virginia, and West Virginia. The SREB’s functions include the Academic Common Market program. This program allows students to receive in-state tuition rates at member state schools that offer programs unavailable in a student’s home state. Students can apply for this program through the ACM coordinator in their home state. 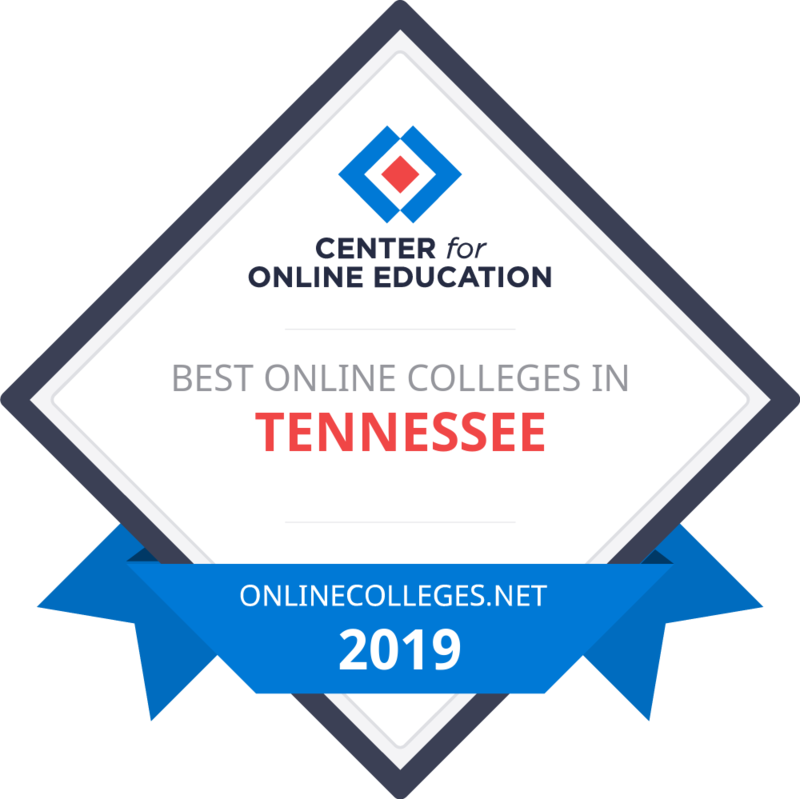 Online colleges in Tennessee that participate in ACM include the University of Tennessee Knoxville, Tennessee Tech University, and the University of Memphis. Some online colleges do not distinguish between out-of-state and in-state online students, charging all online students the same per-credit tuition rate. Students should investigate their chosen school’s rates before enrolling. Below, are our rankings of the best online four-year programs in Tennessee. Our profiles examine how schools approach online education and list their services for distance students and their popular, fully online degrees. After reviewing the best online schools in Tennessee, explore our state resources, like a database of every college and university in Tennessee or our index of popular in-state scholarships. Johnson University, located in Knoxville, opened its doors in 1893 as a school dedicated to providing education of preachers, missionaries, teachers, and business professionals around the world. The university developed distance learning programs more than a century ago and has consistently expanded their available online degrees and programs as learning technology improves. Today, this Tennessee Bible college's online programs include associate, bachelor's, master's, and doctoral degrees in areas of business, ministry, leadership, and counseling. Students may also earn specialized certificates to enhance their education and skills. Founder Ashley S. Johnson offered the following guiding principle: "Open day and night to the poor young man who desires above every other desire, to preach the Gospel of Christ." In its early days, the school offered work-study programs allowing everyone the opportunity to pursue higher education, regardless of their means, and the university remains dedicated to keeping tuition affordable today. Donors provide subsidized tuition for students, and students graduate with less student loan debt than the national average. Affiliated with Christian churches and churches of Christ, the school provides Bible-based education integrated with an arts and science curriculum. Applicants must have earned a high school diploma or submit scores from a high school equivalency exam. Johnson University welcomes transfer applicants and accepts credits earned at schools with regional, national, or professional accreditation. The university maintains accreditation with the Southern Association of Colleges and Schools to award college degrees and has earned programmatic accreditation through the Association for Biblical Higher Education. Students may also receive college credits for professional experience through College Level Examination Program exams. Johnson University requires students complete 25% of their degree at the school, however. The accelerated online degree programs feature seven-week courses, with two sessions per term. The school uses the Sakai online learning system, which provides tools for communication, collaboration, and assignments. Most courses allow flexibility for students in reviewing class assignments and materials, such as recorded lectures or discussion forums. Distance students may contact faculty, access academic services, and utilize resources from the virtual library. King University in Bristol, Tennessee, one of the top accredited online colleges in Tennessee, provides career-focused online education in areas of business, teaching, liberal arts, and nursing, with associate, bachelor's, and master's degrees available from the seven academic schools. The accelerated, year-round instructional model allows students to complete their degree in as little as 16 months. Classes range from 5-8 weeks in length, with multiple starting dates each year. Originally named King College, the university serves about 2,000 students across its programs, with about one third enrolled in distance education. Affiliated with the Presbyterian church, King University occupies a 135-acre campus in East Tennessee and maintains regional accreditation through the Southern Association of Colleges and Schools, with specialized accreditation and approval for business, social work, nursing, and teacher preparation programs. Online students benefit from numerous career and academic services. The school provides need-based financial aid, and tuition includes all fees and course materials. King University participates in military educational efforts, with tuition discounts for active-duty service members. It also participates in the Yellow Ribbon program for veterans using GI Bill® benefits. All applicants must hold a high school diploma or equivalent with at least a 2.6 GPA in high school. Transfer students should maintain at least a 2.2 GPA in college with at least 45 credits before meeting with a student support specialist at the university. King accepts up to 76 credits earned at an accredited college or university toward a bachelor's degree. Students must have earned at least a "C" in their courses (higher in some courses related to major). Students may also request a prior learning assessment to earn college credits for professional or military training. Students with fewer than 45 credits may apply to the Pathway program, which allows students to complete general education requirements and prepare for their major coursework. The University of Memphis offers more than 60 degrees through its fully online Global Campus. This accredited online college in Tennessee offers majors in arts, business, education, engineering, humanities, social science, and healthcare, with bachelor's and graduate degrees. Faculty members from the West Tennessee campus lead asynchronous classes through the eCourseware learning management system. All undergo extensive training in delivering engaging and effective instruction using distance technology. A SmartStart assessment helps students determine if they have the skills necessary to succeed in an online learning environment, such as time management and self-regulation. Students returning to college after a break in attendance may benefit from alternative degree paths, such as the Finish Line program for individuals with 90 or more credits or earning academic credits for work or military experience through Prior Learning Assessments. Online students enjoy many support services, including online tutoring, tech support, and specialized software for class projects like creating surveys or hosting a web conference for group projects. A career services department assists with career assessments, resume preparation, online practice interviews, and job boards. The library provides the "Ask-A-Librarian" service as well as access to online databases and subscriptions, inter-library loans, and research assistance. In addition to its Global Campus, UofM participates in the TN eCampus, offering students the opportunity to take online college courses with Tennessee Board of Regents schools across the state. This program makes additional classes available to students and helps them stay on track to graduation. The school charges in-state and out-of-state students the same tuition rate. The board of trustees for the school lowered tuition in fall 2018, helping to make higher education more accessible and affordable. Online students also qualify for some scholarships, and the school participates in several fee discount and waiver programs, such as discounts for children of public school teachers. Carson-Newman University, a private liberal arts college located in Jefferson County in East Tennessee, opened its doors in 1851. Today, the school remains affiliated with the Southern Baptist Convention and serves more than 2,000 students each year as one of Tennessee's premier Bible colleges online and on campus. Carson-Newman developed its online degrees with distance learners in mind. Online bachelor's degrees require students to have earned at least 48 credits transferable credits before beginning coursework. Undergraduate degree options include business administration, nursing, organizational leadership, and interdisciplinary studies. The school confers master's degrees in social entrepreneurship, business administration, education, and nursing, with specialist and doctorates in education also available. Carson-Newman offers generous transfer policies. Students who have graduated from a community college can consider their general education requirements met, expediting their degree-completion process. Learners can apply credits earned at regionally accredited schools to their degree plan and seek credits for military training, portfolio assessment of work and life experiences, or through college-level exams. Licensed registered nurses can earn up to 30 credits for their professional expertise and transfer up to 90 credits toward their bachelor's degree. Carson-Newman maintains regional accreditation through the Southern Association of Colleges and Schools, ensuring graduates earn a degree recognized by employers and other educational institutions. Online students work closely with student success advisers to plan a course of study and complete required orientation. The Edvance360 platform provides asynchronous class scheduling with multiple communication and collaboration tools available. Online students also have access to online tutoring services, library resources, and career services. Carson-Newman strives to make a college education affordable to its students. About 95% of Carson-Newman students receive financial aid. Degree-completion programs offer reduced tuition and fees. Students may also qualify for institutional scholarships or state educational assistance. Tennessee Technological University remains one of the most affordable accredited online colleges in Tennessee, with numerous accolades for its "best value" degrees. U.S. News & World Report found students from TTU graduate with the least amount of student debt from 2015-2019. This public, four-year university in Cookeville serves more than 10,000 students in undergraduate and graduate programs. The school's business, education, and nursing graduate programs attract the most students at the school, pointing to one of the reasons TTU launched its online master's degrees. Students can choose from master's degrees in business administration, accounting, exercise studies, professional studies, nursing, and curriculum and instruction. Licensed teachers can complete additional endorsements online, as well. Their master of business administration program includes fully online courses or hybrid instruction with optional networking meetings held regularly in Nashville. Not only does TTU maintain institutional accreditation through the Southern Association of Colleges and Schools, but its business programs have earned accreditation by the Association to Advance Collegiate Schools of Business. Students who already possess an undergraduate degree may also pursue a second degree in accounting from TTU. The school also offers undergraduate degrees in interdisciplinary studies and professional studies through partnerships with the TNeCampus, an online consortium of courses designed to pool resources of the Tennessee Board of Regent participating schools. The professional studies degree offers concentrations in health administration, information technology, international organizational leadership, and organizational leadership. The school welcomes transfer credits from regionally accredited schools, maintains transfer agreements with community colleges across the state, and participates in the Tennessee Transfer Pathway program, which guarantees a student admission to the university and that all community college courses will apply to their degree. Students may earn up to 12 elective credits for work or volunteer experience related to their course of study, credits for military training, or by passing specific exams. Students integrate faith and biblical teaching with a holistic liberal arts education at Nashville's Trevecca Nazarene University. One of the top Tennessee Bible colleges, online programs offer the opportunity to earn a degree while continuing to work or care for a family. Trevecca offers two associate degrees, six bachelor's degrees, and nine graduate degrees, all without on-campus requirements. All online classes offer accelerated formats that allow students to focus on one class at a time with asynchronous scheduling. Most programs utilize a cohort system that enables students to move through their coursework together, building strong relationships and professional connections. Admission to bachelor's programs requires completion of at least 40 credits, but the online associate degrees welcome students with proof of high school graduation or equivalent and some computer proficiency. The online master of business administration degree welcomes applicants without a Graduate Management Admission Test score with specialty tracts available in information technology, healthcare administration, project management, management and leadership, and human resources. While the program has no on-campus requirements, all students become paired with professional mentors from the faculty or the Nashville business community. Trevecca maintains accreditation by the Southern Association of Colleges and Schools and recognition by the Southeastern Region of the Church of the Nazarene. The Tennessee Department of Education endorses the school's teacher preparation programs and master's, specialist, and doctoral degrees. Online students qualify for federal and state financial aid. The school also participates in the Yellow Ribbon program for veterans utilizing their GI benefits and offers reduced tuition for active-duty service members. Military students may earn credit for their training and military education. Trevecca accepts transfer credits from accredited universities and participates in the Tennessee Transfer Pathway, easing the transition from community college to a four-year university. Transfer students may also qualify for one of the many institutional scholarships offered. Union University grew out of three Tennessee schools, with its roots stretching back to west Tennessee's pioneer days in the early 1800s. When the public West Tennessee College fell on hard times in 1874, the Tennessee Baptist Convention assumed control and merged with Union University in Murfreesboro. Today, the school serves more than 3,000 students with more than 100 academic programs. This online Tennessee Bible college offers associate, bachelor's, master's, and advanced degrees in areas of professional studies, nursing, education, and Christian studies. The school also offers blended programs for nursing programs that lead to master's degrees and doctorates. The school's organizational leadership degree offers nontraditional students the chance to complete an undergraduate degree in only 18 months, with concentrations in organizational management, project management, health management, church leadership, criminal justice administration, information technology, and industry management. Applicants should obtain at least 60 academic credits before enrolling in the bachelor's program. Union also requires students to be at least 24 years old and possess two years of full-time, relevant work experience. However, the associate degree option helps provide students with the foundation they need to tackle upper-division coursework. Union also recognizes the valuable educational experience students may have received outside of the classroom. The school offers academic credits for professional certifications, military training, and volunteer experience. Many of the online courses allow students to complete assignments on their schedule, with no set class times each week. Several accelerated programs utilize eight-week terms that allow students to focus on one or two classes at a time and complete more credits during a year. The school maintains institutional accreditation through the Southern Association of Colleges and Schools with programmatic accreditation from the Association to Advance Collegiate Schools of Business, Commission on Collegiate Nursing Education, and the Council for the Accreditation of Educator Preparation. More than 85% of faculty have attained the highest degree in their field, and the school boasts a 10-to-1 student-to-faculty ratio. A growing number of students seeking accredited online colleges in Tennessee for degree completion, professional development, or graduate education turn to the University of Tennessee at Martin in West Tennessee. About 13% of the school's 6,700 students choose online options for their undergraduate studies, while almost 80% of graduate students utilize the comprehensive online degree options. The school also offers an array of non-degree online programs, including certifications and professional development for teachers. The school offers six undergraduate and nine graduate degrees, including agricultural business, farm and ranch management, business administration, philosophy, and nursing. A hybrid undergraduate degree in veterinary health technology offers flexibility for students completing their degrees in this animal science specialty. The master's in education offers multiple specializations, such as counseling, educational leadership, or a transition to a teaching program for career changers. The legal studies online program provides credits toward a degree but also exists as a stand-alone program. UTM helps students prepare for the rigor of online courses to become acquainted with their home campus through its Skyhawk Summer Academy. Students enroll in self-paced courses for six weeks using the Canvas online learning system, with classes including veterinary science and drone technology. The program concludes with a one-week visit to the campus to meet faculty and classmates. The virtual writing center offers tutoring and writing assistance by using video conferencing or email. Online students also work closely with their academic advisers and enjoy access to all library resources. More than 90% of UTM students utilize financial aid to help make earning their degree affordable, and the school's online tuition offers competitive pricing for in-state and out-of-state students. The university welcomes active-duty service men and women and veterans and participates in the Yellow Ribbon Program to match veterans' educational benefits. UTM also awards academic credits for military and professional training. East Tennessee State University serves more than 14,000 students from its main campus in Johnson City with more than 100 degree options, including interdisciplinary courses and a variety of entirely online and mostly online degree programs. The school provides its students with academic advisers, career services, and library resources, regardless of their location. Online students also qualify for federal and state financial aid. Like other accredited online colleges in Tennessee, ETSU provides students access to a variety of online courses through the TN eCampus. This collaboration of the Tennessee Board of Regent colleges and universities allows students to remain enrolled at their home university while exploring classes from schools across the state. On-campus students may access these courses without needing special permission. The school focuses on the allied healthcare programs it specializes in, such as dental hygiene and radiologic science degrees, as well as degrees in interdisciplinary studies, professional studies, and sociology. The bachelor's in nursing offers an accelerated degree option for registered nurses looking to advance their careers. Degrees in marketing, psychology, early childhood development, and mapping science all require a few visits to the campus. The online graduate programs include master's degrees in marketing, education, human services, nursing, professional studies, sports management, and public health. Teachers may also earn specialist and doctoral degrees in educational leadership. A selection of graduate certificates offers professional development options, as well. ETSU allows students to test drive their online learning platform and determine if they would make a good fit for the online programs. Anyone can enroll in OpenBUCS classes in psychology, music, and history to complete the eight-week courses, and students have the option of paying for transferable college credits. Bethel University, in the historic West Tennessee town of McKenzie, exists as the only surviving college of the ten Cumberland Presbyterian Schools. With an academic tradition rooted in theology and education, the school has continued to grow by offering expanded degree options and innovative programs, such as the Success adult degree program of the 1990s. The growth of accredited online colleges in Tennessee offered the school another opportunity to innovate with the chance to help more students reach their educational goals. The school offers associate, bachelor's, and master's degrees. Most classes feature an accelerated, five-week modular format, providing multiple starting dates throughout the year. The associate degree programs, with majors in liberal arts, business, and criminal justice, do not require ACT or SAT exam scores. Students seeking a bachelor's degree can transfer up to 80 of the 128 required credits. Bethel accepts transfer credits from accredited schools and awards college credits through challenge exams or College Level Examination Program tests, assessment of a prior learning portfolio, or for military training. The school requires applicants to possess three or more years of work experience and have earned 30 units of college credit. Professionals with three years of work experience and an undergraduate degree qualify for the accelerated master of business administration program, featuring specializations in academic practitioner, executive concentration, healthcare administration, and human resource management. Classes start each month, and applicants do not need to take the Graduate Management Admission Test or Graduate Record Examinations. Students can complete the 36-credit degree in as little as 19 months. The criminal justice master's program uses a cohort structure and includes some required on-campus seminars and orientation session. The school pairs online students with a personal adviser for the duration of their academic program and grants access to online tutoring services. The curriculum focuses on writing term papers and in online discussions rather than exams and tests. Tuition includes technology equipment and books for some programs, and the school participates in state and federal financial aid programs such as the Tennessee Hope Lottery Scholarship and federal Pell Grants. Austin Peay State University, a member of the Tennessee Board of Regents university system in Clarksville, offers more than 30 online degrees at the associate, bachelor's, and master's levels. The school's 370 full-time faculty members all contribute to online learning options, allowing distance education courses to maintain an 18-to-1 student-to-faculty ratio. Students without much college experience can earn an associate degree in liberal arts or management technology, while bachelor's degree options include business administration, professional studies, communication, computer science, political science, and sociology. Graduate options include master's degrees in education, communication, professional studies, and computer science, with bridge programs to a master of nursing degree. Credit-bearing graduate certificate programs also offer opportunities for professional development in areas of leadership, organizational administration, and nursing. About 12% of the school's 10,000-student population take exclusively online classes for their undergraduate degree, while 57% of graduate students earn their degree through the online learning platform. The school has received accreditation from the Southern Association of Colleges and Schools, and the education and nursing programs hold programmatic accreditation and state approvals. Online courses provide asynchronous scheduling, with students adhering to assignment deadlines. Some students may need to visit campus for proctored exams, though alternative arrangements remain available as needed. Students enjoy access to all the services available to on-campus students, such as library resources, academic advising, and tutoring. Some online degrees require as little as 12 months to complete. APSU accepts college credits earned at accredited institutions and has entered articulation agreements with Tennessee Board of Regents community colleges and the Tennessee Transfer Pathway program. With the school neighboring Fort Campbell, faculty and administrators understand the unique circumstances of military students. The university grants credits for military training and offers out-of-state fee waivers to active-duty military members. New students and transfer students also qualify for numerous financial aid programs, such as Tennessee student assistance grants and scholarships. More than 11,000 students seek their degrees from the University of Tennessee at Chattanooga, a member of the five-school UT system. Through dedicated online degree programs, hybrid programs, and the TN eCampus, students can choose from more than 100 degree programs. All online programs deliver at least 80% of the classes through the Blackboard online learning management platform. These include a bachelor's degree in criminal justice; a gateway program for registered nurses looking to obtain a bachelor's in nursing; master's degrees in criminal justice, engineering management, and business administration; and a doctorate in nursing practice. Several of the online degrees utilize a cohort program, in which groups of students move through a curriculum together, graduating in as little as 16 months. The school requires online students to attend a one-day, on-campus orientation, which introduces them to the student services available and ensures that they know how to access the university's resources. The programs in nurse anesthetist and the doctorate in education employ hybrid instruction, with students required to attend on-campus intensives on scheduled weekends throughout their coursework. The school developed its online programs with working professionals in mind. Thanks to numerous articulation agreements and the Tennessee Transfer Pathways program, the university facilitates smooth transfers for graduates of Tennessee's online community college programs, as well. The school does not currently offer enough online classes to meet all general education requirements. Students seeking their undergraduate in criminal justice must have completed an associate degree or satisfy those requirements before enrolling in the program. Online students receive access to online library databases or request that printed materials in the mail. The writing center offers guidance for academic presentations, and students can utilize online tutoring services as well as online test proctoring. All programs qualify for financial aid programs, and UTC maintains the Southern Association of Colleges and Schools accreditation. Middle Tennessee State University, in Murfreesboro, launched its first online courses in 1997 with 53 students participating. Today, the school offered more than 400 courses with 12 degrees available entirely online. Enrollment in online learning swelled to more than 12,000 students in 2018. Online degree options include undergraduate degrees in criminal justice, integrated studies, communications, professional studies, and psychology, with master's degrees available in criminal justice, professional studies, business administration, education, library science, nursing, and aeronautical science. The school developed degree-completion programs that help working professionals quickly achieve their desired credits. While any degree qualifies for the program, most students choose the professional studies degree with concentrations in healthcare administration, organizational leadership, international organizational leadership, and information technology. MTSU's admission advisers help students maximize their transfer credits through transcript evaluations and prior learning portfolio assessments to grant credits for work and life experience and training. MTSU participates in the TN eCampus, a consortium of accredited online colleges in Tennessee that offer numerous courses each term, and provides eRate tuition discounts for students enrolled in all online classes. The school also offers four undergraduate and two graduate degrees in hybrid formats with up to 15 hours of on-campus activities each semester. These include bachelor's degrees in management, marketing, and business education, and master's of social work and business education. MTSU delivers online coursework through the Desire2Learn platform, which allows for communication and collaboration between students and with faculty. The test center provides proctoring services for exams, and all students can access tutoring services or software tutorials, with a dedicated tech support team. Faculty members offer online courses in the traditional 15-week semester format or accelerated, eight-week terms. Students attend classes asynchronously, though they must adhere to assignment due dates and maintain engagement in class discussions. All programs have earned accreditation by the Southern Association of Colleges and Schools. Located in the city of Cleveland, Lee University opened its doors in 1918 as a Bible training school for the Church of God. The private, four-year university continually expanded its academic programs through the years to meet the vocational needs of its students, with a liberal arts and professional education core. The school continues to grow its educational offerings with programs designed specifically for working professionals. In fact, 14% of the school's 5,000-plus students maintain enrollment in distance education programs. As one of the premier Tennessee Bible colleges, online degrees in areas of ministry have led the school's distance education efforts. The university offers undergraduate degrees in Bible and theology, Christian studies and ministry leadership, with graduate degrees in ministry studies, as well as marriage and family studies. All students in ministerial programs qualify for a 50% tuition discount. The school also offers undergraduate degrees in criminal justice, business administration, and liberal studies, as well as a master's in business administration. All degree-granting programs enjoy accreditation by the Southern Association for Colleges and Schools, and the school has earned recognition from the Association for Continuing Higher Education, Association of Christian Distance Education, and the Christian Adult Higher Education Association. Undergraduate programs require applicants to have earned high school diplomas or a passing score on General Educational Development exams, and possess three years of life experience. Online courses require a commitment of about 16 hours per week, per class, with accelerated, seven-week terms. All online courses allow asynchronous scheduling, and hybrid programs require students to spend two weekends per term on campus. The school developed generous transfer policies, granting credits for work completed at accredited colleges, as well as credits for specific professional and military training, in addition to completion of specific Church of God certifications. The school participates in federal financial aid programs and offers tuition discounts for first responders, active-duty military, and veterans. Before enrolling in online college courses, Tennessee State University students can complete assessments and orientations designed to help them reach their educational goals. From the SmarterMeasure assessment to the recommended student orientation, prospective students explore their own learning styles, time management skills, and computer proficiency before starting the first class. The school offers more than 20 online or mostly online degree options, with unique degree-completion tracks for working professionals. Undergraduate options include professional studies degrees in healthcare administration, information technology, international organizational leadership, and organizational leadership; sociology; urban studies; and interdisciplinary studies. Students can also seek graduate degrees in areas of geospatial information systems, holistic nursing, becoming a family nurse practitioner, speech science, and strategic leadership, as well as human resources training and development. Hybrid programs in social work and an executive master of business administration require visitation to the Nashville campus during the semester. TSU maintains a variety of dedicated support services for online students, including financial aid advisers, academic advisers, and career development specialists. The dedicated admission officers also help determine if students benefit from transfer credit programs, such as the Tennessee Transfer Pathway program or prior learning assessments. The university also offers an Academic Fresh Start, which removes portions of a student's college work from GPA calculations. TSU provides multiple tutoring options, including face-to-face and online, as well as full access to all library resources. Online students also qualify for financial aid programs and the school participates in educational programs for veterans. TSU faculty members undergo extensive training through the Center for Teaching, Learning, and Technology before leading an online class. Workshops and professional development sessions cover instructional design and digital content creation, with hands-on sessions using Microsoft Office and the Desire2Learn applications eLearn and Brightspace. In addition to online degree options, TSU also participates in the TNeCampus through the Tennessee Board of Regents (TBR), providing all students access to hundreds of courses from other TBR schools across the state. Fully online students from out-of-state qualify for the eRate tuition discount. Cumberland University offers more than 100 programs of study from its picturesque campus in Lebanon and serves more than 2,300 students each year. The affordable online college in Tennessee has also launched multiple graduate degree programs through its online campus and an innovative bachelor's degree in nursing for working registered nurses. Many of the online programs require only 18 months to complete, with students able to choose online, on-campus, and hybrid enrollment options. The school's location just outside Nashville makes it convenient for working students. All online courses offer convenient, asynchronous courses. Students stay on track for their degree with the help of dedicated advisers available by phone or on campus. The master of business administration program welcomes applicants possessing an accredited undergraduate degree in any discipline, with a survey course quickly bringing non-business graduates up to speed. The school earned recognition from the Accreditation Council for Business Schools and Programs for its MBA tracks in entrepreneurship, educational leadership, healthcare administration, services, and general business. Cumberland was among the first schools to offer a services MBA specialization. The master's in education offers the opportunity for licensed teachers to earn additional license endorsements in under a year, and the university's education preparation courses consistently earn high marks from the Tennessee Department of Education. Nursing remains one of Cumberland's most in-demand programs, with more than half of its graduates in 2017 earning a nursing degree. Registered nurses with an associate degree can advance their careers and education through the online bachelor of science in nursing bridge program. Faculty designed the course to meet the needs of working students, so the program does not require traditional clinical rotations. Instead, students complete course projects in their current work environment or their community. The master's program offers concentrations in nursing education and leadership and administration. The Tennessee Board of Nursing approved both tracks, and the school maintains programmatic accreditation from the Commission on Collegiate Nursing Education. Below, are all of the online schools in Tennessee sorted by tuition rate. 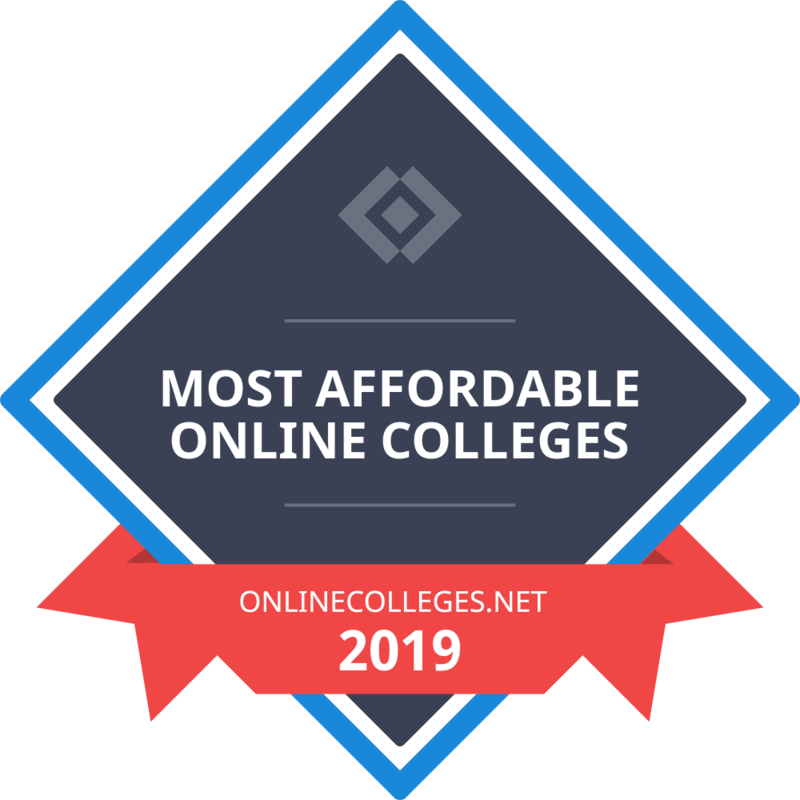 Our list of the most affordable online schools in Tennessee is based on in-state yearly tuition, or annual tuition rates if a school does not differentiate between in-state and out-of-state students. Tuition rates are based on a full course load each semester or term. All colleges on the list offer at least one bachelor's degree completion program available entirely online. The online schools in TN with the lowest tuition are ranked highest, providing prospective students with a true list of the most affordable online colleges in the state. Students with degrees from the best online colleges in Tennessee benefit from many employment opportunities, and the current unemployment rate in the Volunteer State is 3.6%. The mean annual wage in Tennessee is $43,550, providing a comfortable standard of living for most college graduates. Must be a minority student with a minimum high school GPA of 2.75 and minimum scores of 18 (ACT) or 860 (SAT). Must intend to pursue teaching in Tennessee. Must be a child of a parent with breast cancer and reside within a 50-mile radius of Chattanooga. Must be a second semester junior at a Tennessee college with a 3.5 GPA and a commitment to teaching. Must be a high school senior or college student in Tennessee who is currently employed by a Tennessee Grocers and Convenience Store Association member store with at least six months of work experience. Must be a Tennessee resident with a minimum 2.75 GPA pursuing teaching (although applicants cannot hold licensure). Must be a current Tennessee resident enrolled in a full-time college horticulture program. Must be enrolled in a Middle Tennessee high school and committed to a full-time business or STEM college program. A minimum 2.5 GPA and demonstrable financial need are required. Must attend Middle Tennessee high school with a minimum 3.0 GPA. Scholarship is awarded through NHL's Nashville Predators. Must be a resident of Memphis with a GPA of 3.0. Must pass a vocal audition.